You can support the Temple when you shop on Amazon! The Amazon Smile program donates 0.5% of the price of eligible purchases to the nonprofit organization of your choice. Use this link and Shaare Emeth will receive a portion of the proceeds from every purchase you make! Did you know you can donate money to Congregation Shaare Emeth without spending an extra penny? Scrip is a program where companies provide gift cards to nonprofit organizations, such as Shaare Emeth, at a discounted rate. Nonprofits then sell the gift cards at face value keep the difference. Each participating retailer/merchant offers the nonprofit a different margin of profit, as indicated on the Shaare Emeth Scrip Order Form. Jesse loves Starbucks and enjoys drinking her favorite drink, a soy chai latte, a few times a month. Because she’s going to spend money at Starbucks anyway, she buys a $25 Starbucks gift card (for the normal $25 price) from the Temple Office. Jesse drops by and gets a new Starbucks gift card every time she needs one. She didn’t spend an extra penny, and yet Shaare Emeth earned money! Starbucks offers a 7% profit to Scrip program members, so Congregation Shaare Emeth receives $1.75 every time Jesse buys a Starbucks card from Temple. Tzion already buys groceries and pet food at Dierbergs, Whole Foods, and PetSmart every month. He sets up an automatic order for $200 Dierbergs cards, $200 Whole Foods Market cards, and $50 PetSmart cards. He doesn’t spend more that he already would have, and yet he knows part of that money benefits his chosen Jewish community. As the order form shows, the profit rates for Congregation Shaare Emeth for these companies are: Dierbergs 5%, Whole Foods 3%, and PetSmart 4%. In effect, Tzion donates $18 a month and $216 a year FOR FREE. To set up automatic monthly payments, call Carol Payne in the Temple office, 314-692-5306. Choose what grocery and shopping cards you want to receive each month. Your card or account is charged monthly for your order. Pick up Scrip cards at the front desk -OR- have them mailed to your home for an an additional charge. Add: Mail-it-to-Me Option: Your Scrip cards can be delivered to you by Certified Mail. It will require your signature when the envelope is presented by your mail carrier. If you are not home at the time of delivery, the envelope will be held for you at the Post Office until it is convenient for you to pick it up. Indicate on the Automatic Monthly Debit Form that you wish to have your Scrip cards delivered by Certified Mail. An additional postage cost of $3.25 will be added to the debit. Mail your order and payment to Scrip Program, Congregation Shaare Emeth, 11645 Ladue Road, St. Louis, Missouri 63141 (checks payable to “Shaare Emeth”). Special orders are due by the 20th of each month and must be paid at the time the order is placed. We’ll have your order to you within two weeks. Add: Mail-it-to-Me Option: Your Scrip cards can be delivered to you by Certified Mail. It will require your signature when the envelope is presented by your mail carrier. If you are not home at the time of delivery, the envelope will be held for you at the Post Office until it is convenient for you to pick it up. An additional postage cost of $3.25 will be added to the debit. 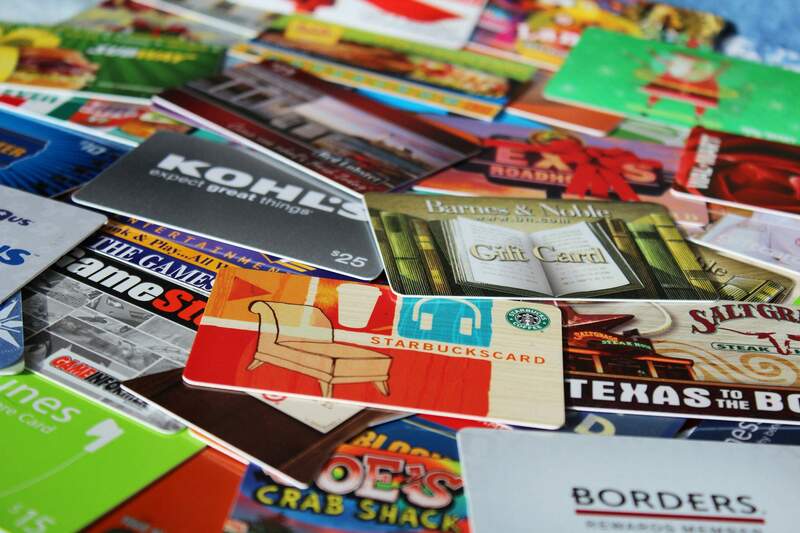 Grocery cards and the most popular shopping and dining gift cards are kept in stock in the Shaare Emeth Office. Bring your order and a check to the temple office anytime during office hours. Thank you for choosing to be a part of the Congregation Shaare Emeth’s Scrip program. If every household participated in the Scrip program we could eliminate the deficit in Shaare Emeth’s 2013-14 budget.